"Long days, short years," is an axiom that is often used to describe child-raising. I think it applies to homeschooling as well. There are days when I think "Aren't we done YET??" and yet it's hard to believe that we've been at this for five years! 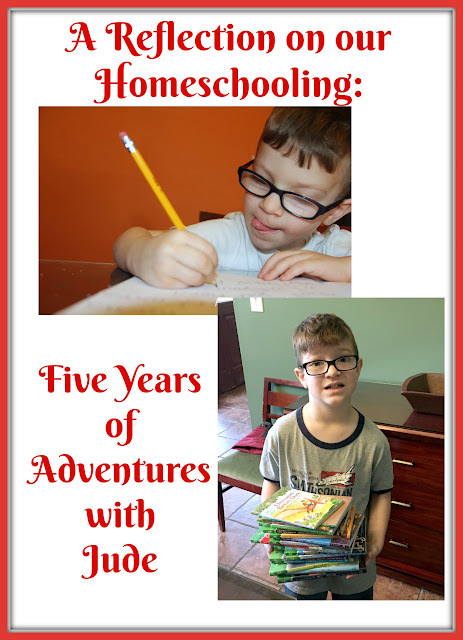 When we started five years ago, the original plan was for Jude to be homeschooled for a year, maybe two, and go back to a traditional setting by second grade. I think we could also apply "Man plans, God laughs!" to our lives, too. 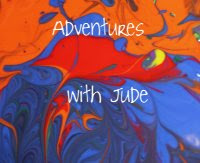 Not only did it take Jude until 3rd grade to figure out how to read (and he's still playing catch-up in some areas), but a year later, the little homeschool jokingly dubbed "Adventure Academy" doubled in both size and school levels -- high schooler Luke became our second student. I remember thinking "I don't need to worry about upper grades, Jude will be back in school soon, and anyway, he's only in Kindergarten, what" and suddenly I was eyeball deep in Algebra. Yikes! Now, Luke has graduated (but hasn't wanted to give up field tripping), Matthew and Damien are part of our group, and it's possible that Celia will be joining us in a year. I'm guessing we're going to be at this for a while. After five years, I can't say I'm sure I know what I'm doing, but I'm more confident in what I'm doing. My friend Cristi still gets frantic texts asking her input, but at least now they're narrowed down to "Help! Do I want Program A or B?" instead of "I need to teach that, too???" 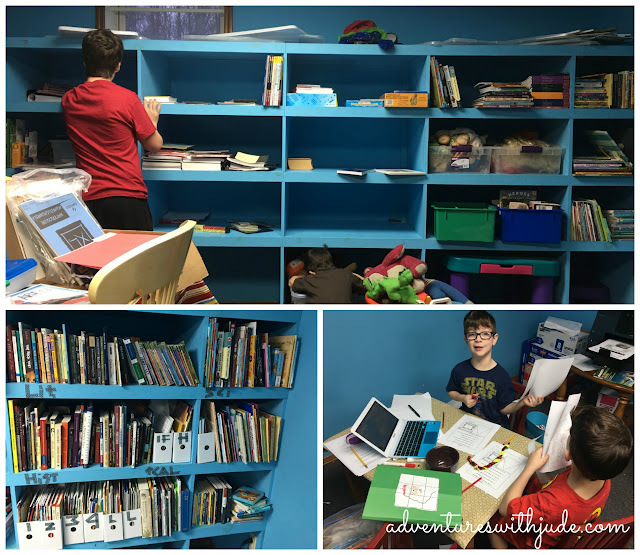 We've begun our fourth year with the Homeschool Review Crew (formerly called Schoolhouse Crew Review), so we've kick-tested a few hundred programs between reviews and our own trial and error. I've definitely learned that what works for one family doesn't work for everyone. (Ask me about the traumatic disaster that was Five in a Row.) We've even come back to repeat some programs that we used in the past, like Apologia's Swimming Creatures of the Fifth Day -- we've moved on from the Junior notebook to the big kid version. I've also learned that no matter how much space you have, you will grow into it. We started with the dining room table and a sideboard to pile books on, but by now we've taken over most of a wall of shelves and the playroom in the basement has been repurposed into a school room. But we're not relegated to the basement for learning. We've done lots of field trips. We've driven to 45 out of 48 continental states -- we ran out of time to visit Washington and Oregon on our trip last summer, and somehow we missed Rhode Island on our New England tour. Luke may have graduated, but he hasn't wanted to give up field tripping. He joined us on our last trip, traveling from Wildwood Crest, NJ to Coronado, CA, and has requested to be included if we ever make it to Rhode Island. Some trips we've done just the kids and me, while others we've been able to go as a family. When I was wavering on a vacation to Key West, Neal bribed me: "There's a National Park accessible only from there." Pack the car! I've always loved learning about American History and discovered I loved teaching it just as much. 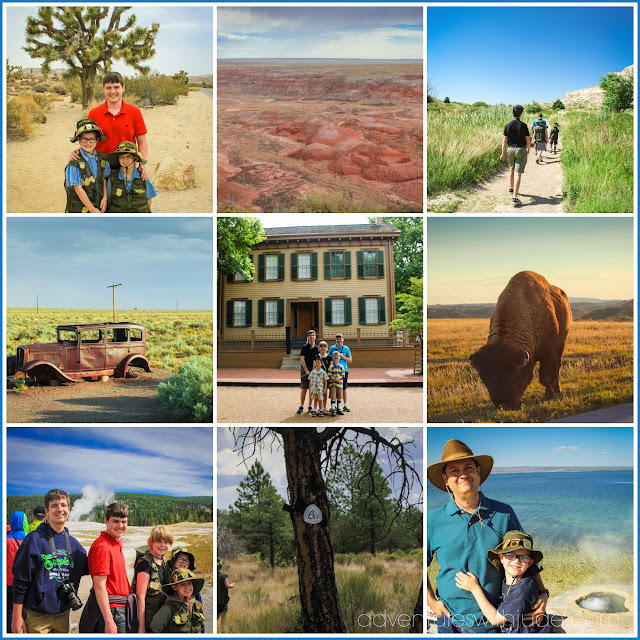 Homeschooling has allowed us to plan our curriculum around field trips. 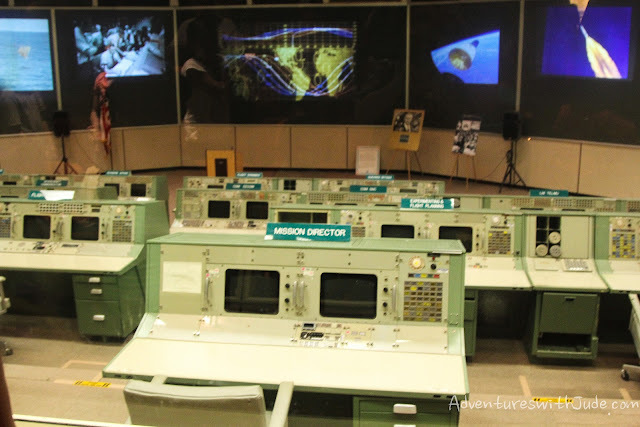 It's one thing to read about NASA's history, but I have to admit, it's kind of cool to sit in the same room as the people who launched rockets into space. Speaking of "other planets," we even got to visit Crater of the Moon National Monument. That was worth the drive! Leaving Mom (with a broken toe) and excess gear at a hastily created "base camp" (they parked me with my foot up on the bench! 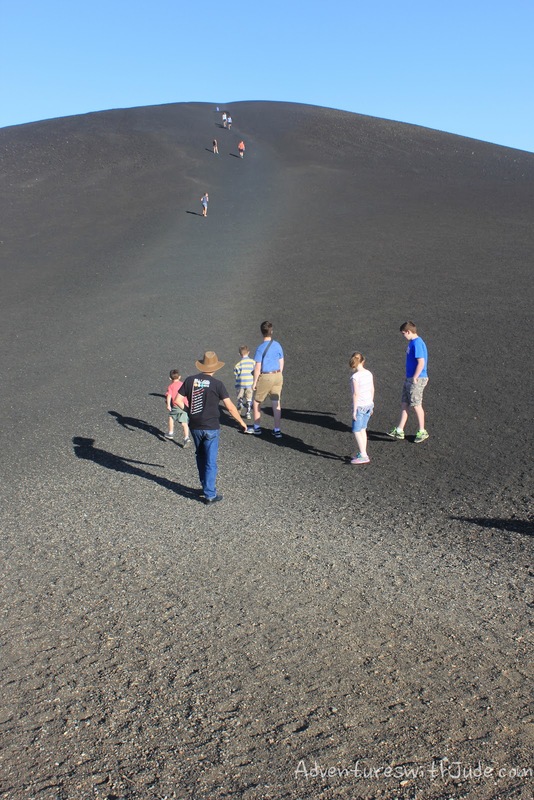 ), Neal herded an expedition to the top of the remnants of one of the crater-creating volcanoes. Idaho is definitely somewhere we wouldn't have even thought about visiting without having homeschooled! Homeschooling wasn't something we really planned on. I am the first to admit it hasn't been the "everyday is wonderful and you'll never regret it!" experience some sell it as. Some days...well, let's just say that most days are good days, but not all -- and my kids don't seem to do things by halves. Some days, it's hard. REALLY hard. 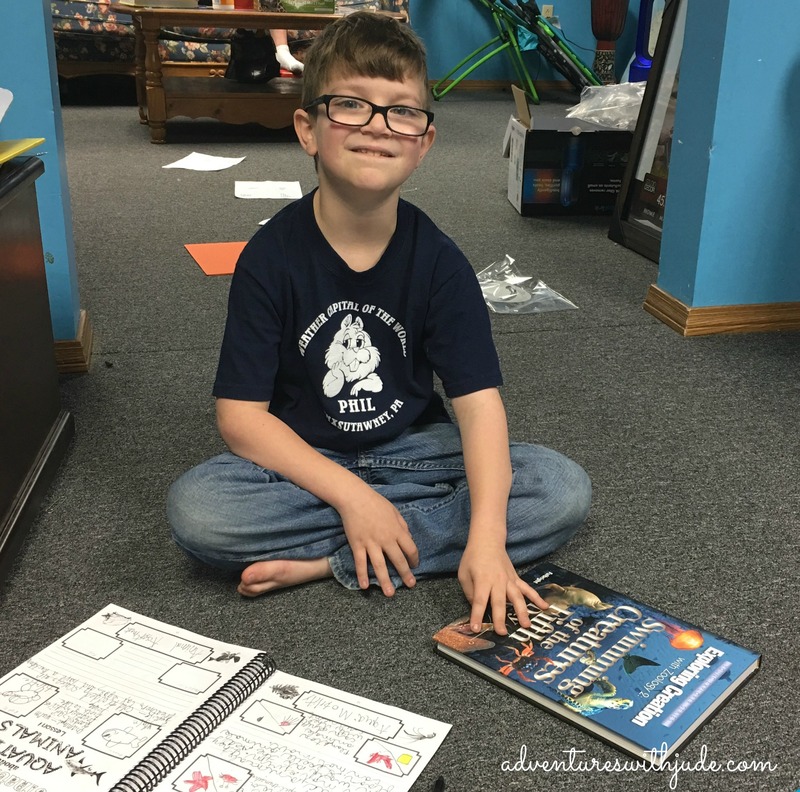 In addition to learning how to homeschool, we've had to let go of many preconceived notions and even more resentful feelings. However, I'm glad we had the opportunity. 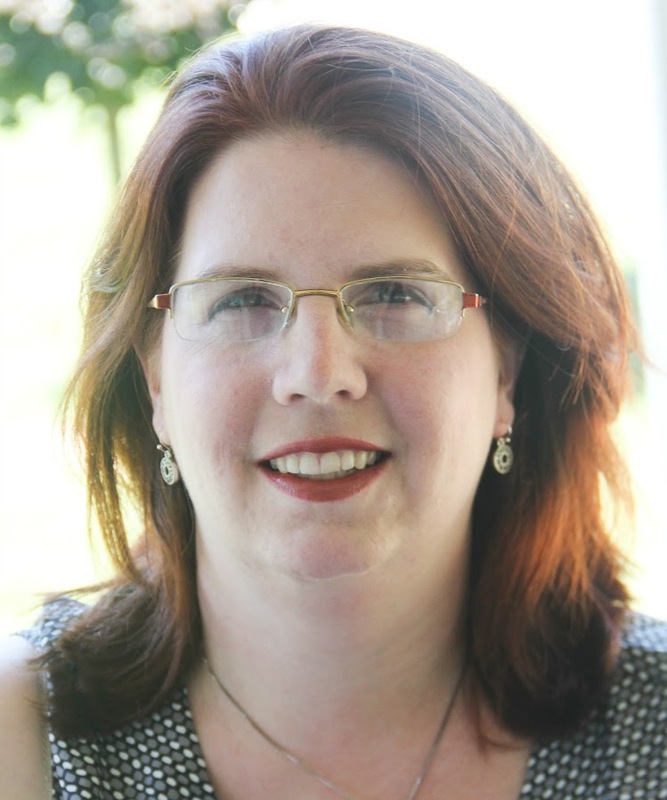 Five years seemed impossible -- at the start, five months to the end of the current school year was daunting! I've learned so much in the past five years -- I can't begin to imagine what the next five will teach us, but I'm sure there will be plenty to learn!